One of the downfalls of today’s digital job search is the increasing amount of job scams making their way onto major job boards. While some may be easier to spot than others, a good mantra to follow is "if it’s too good to be true, it probably is." If you come across an ad that makes outrageous promises to you without giving any detail into what the job title is or what the duties are, chances are you’re reading a scam targeting desperate job seekers: Make fast cash at home while you sleep! Earn trips to Fiji and a company car in 6 months! No experience needed! Hurry! Call now! Never give money. Legitimate job ads will never request money, social security numbers, personal bank account information, credit card numbers, or PayPal account details. If you come across the phrase "wire transfer" in the job ad or any correspondence with the "HR Manager," run in the opposite direction. If you go through the initial application stages and are requested to purchase a "training kit," decline the offer. These types of schemes have even evolved to strike after you’ve been "hired" – the company emails you stating your next paycheck was mistakenly five times higher than it should be and you’re requested to wire the rest to someone else once you receive it. Read content carefully. Ads that are full of all caps, exclamation marks, and/or spelling and grammar mistakes do not have legitimate employers behind them. Are critical specifics (such as company name and location) missing? Does the contact email address include a major domain (for example, americom@yahoo.com)? Are there small disclaimers at the bottom of the ad? Often the length of a job ad is a key clue into its legitimacy – if it’s extremely short and includes only what you’ll earn and how easy it will be, don’t click. Double check. 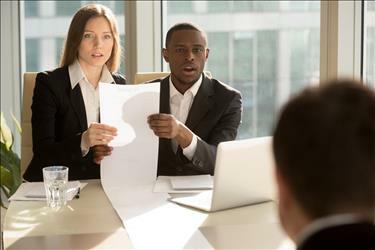 You may come across an ad for a position with a well-known company on a job board yet it looks suspicious. Check the company’s own website to verify that the position exists. 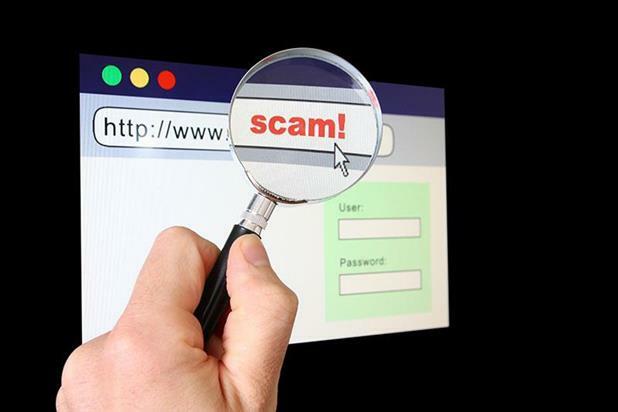 Some scammers use major company names to reel seekers in, but with a few clicks your "scam sensors" should go off – you aren’t taken to the company site, the contact information isn’t available or doesn’t seem right, and the position details aren’t clear. Be cautious with "personal" email responses. If you have your resume posted on a major job board, chances are you’ve received emails directly from scammers who reviewed your resume and want you to start right away, yet little to no detail is given on the job or company. Do not click any links in these emails, even the "please remove me from your mailing list" at the bottom. This will only "activate" your email in their database and result in more spam. Go with your gut. As you scan through job listings, trust your instincts – when a posting causes you any suspicion or sense of doubt, research the company further. See if they have a website, check out their BBB and/or Federal Trade Commission ratings, research their employees on LinkedIn, or check your favorite review site to see what people think of the company. If information is difficult to find, chances are the job ad is a scam. By following these tips and keeping a careful eye, you will be able to quickly spot and avoid job scams, maintain your job-seeking safety, and use your time wisely. Don’t fall victim to the enticing promises and guarantees of overnight success. And remember, if it’s too good to be true, it probably is.